267 Step by Step Sellers Listing Marketing Plan. Contact Us Now! Arranging a second appointment with the seller for CMA and marketing plan presentation. Standard package warranty certificate #1: At any time during the selling process, if you change your plans to sell or if you are not happy with our performance, at your request, we’ll cancel the listing agreement. Premium package warranty certificate #2: Any Buyers in your area, will know that your property is for sale. Thanks to our Referral Fee incentive program, the rest of the public, will be encouraged to recommend your property to friends, relatives or colleagues. The differences between MLS®, Web and Social Media marketing and the benefits from each of them. The work a Realtor does “behind the scenes”. The Realtor’s availability on weekends and 24/7 answering service. Obtaining the tenants’ contact information for rented properties and copies of all rental agreements. Verify all rents and deposits. Meeting and discussing the showings with the tenant. Establishing a good relationship with the tenants is essential for the successful sale of the property. Arranging a time for taking interior and exterior measurements. Taking photos and videos of the property and neighborhood. These are essential resources to start our marketing campaign. Open houses and “For Sale “sign. Flyers, Brochures and Open House invitations and mail outs Just Listed in the area. Installing the most visible and respected Team 3000 Realty “FOR SALE” sign on the property with 24/7 contact phone number. It is a symbol of high-quality services and a real estate experience. Taking professional photos and videos Video Tours of the best neighborhood’s features. In our marketing campaign, we are selling the whole package of location, amenities and the property itself. Our videos and advertisement will emphasize on features like exercise, hockey Ice Rings Hockey Arenas and swimming amenities Swimming Pools Wave Pools , libraries Library and community centers Park Gate Gym , schools Seycove Secondary , shopping Capilano Shopping Mall , transportation Bus Transport Sea Bus Sky train Bike Routes Vancouver Airport Helijet to Victoria Train Station , golf Northlands Golf and tennis Indoor Tennis , parks Capilano Canyon , hiking Hiking , biking Mountain Biking , skiing Extreme Skiing Grouse Mountain Gondola , boating Sailboat Marina , fishing Deep-sea Fishing and so on. Preparing a comprehensive property information file .This makes cooperating agents and future buyers feel more secure and confident about the history and condition of the property. All these documents will be scanned and transformed into PDF format files for easy access and distribution to interested parties. They will be uploaded to DropBox Main Menu DropBox Survey Document, Microsoft OneDrive One Drive Documents, iCloud iCloud Main Menu or Google Drive Google Drive Documents for easy access from any place and time. For condos ordering and obtaining any available strata documents (bylaws Bylaws, rules and regulations Strata Rules and Regulations, strata plan Strata Plan, minutes for the last 2 years Strata Council Minutes , the latest financial statements and budget for the strata corporation Financial Statements Strata , Form “B” certificate Form B Certificate, copy of the strata insurance policy with the deductible amounts Strata Insurance Policy House Insurance Policy , engineering reports Engineering Report, Rain screening works done Rainscreening p1 Rain screening p2 Depreciation report Depreciation Report, status and location of parking and storage locker Storage Locker Location. Filling and submitting the property listing information to Team 3000 Realty, connected to a network of more than 120,000 agents in more than 90 countries with over 7,000 offices. In 24 to 48 hours, the property will be uploaded to every public and DIX reciprocal websites across Canada and USA. Submitting and posting the new MLS listing in our brokerage Team 3000 Realty and the affiliated offices. Informing all Realtors from the local real estate companies about our new listing and inviting them to the “Agents Open House”. Part of the active marketing of your property is to promote it to the most active Realtors in the area and to be very cooperative with them. Generate Mail Merge letters to contact list. Preparing and printing “Just Listed” flyers and brochures for showings and open houses. Preparing and printing property brochures and “Open House” invitation cards for mail-outs. Arrange for printing or copying of supply of marketing brochures and flyers. Posting property listing brochures to over 100 hundred affiliated bank branch offices display boards in the area. Posting property listing brochures to over 50 affiliated mortgage companies display boards in the area. Upload listing to the company, office and agent’s websites. Advising Team 3000 Realty Referral Network Program regarding the new listing. Provide marketing data to 7,000 members of international Referral Network like “ReferralKey”. Review comparable MLS® listings regularly to ensure property remains competitive in price, terms, conditions and availability. Promptly enter price changes in MLS® listings database, if any. Evaluate offer(s) and prepare “net sheet” on each for the owner to compare. Contact buyers’ agents to review buyer’s qualifications and discuss the offer. Fax/deliver Seller’s Disclosure to buyer’s agent or buyer upon request and prior to an offer if possible. Obtain pre-qualification letter on buyer from a loan officer. Add lender and other vendors to transaction management program so agents, buyer and seller can track the progress of the sale. Relay final approval of buyer’s loan application to the seller. Provide credit report information to seller if the property is to be seller financed. Negotiate all offers on seller’s behalf, setting a time limit for loan approval and closing date. When Offer-to-Purchase contract is accepted and signed by the seller, deliver to buyer’s agent. Obtain and Deliver any Strata and property related documents to the buyers’ agent for review. Provide comparable sales used in market pricing to the appraiser. Follow up on the appraisal report. Deliver a copy of septic system inspection report to lender and buyer. Preparing and signing final subjects’ removal. Preparing and submitting all closing documents to the conveyancing department. Record and promptly deposit buyer’s money into a trust account. Confirm return of verification of deposit and buyer’s employment. Fax/deliver copies of the contract and all addendum forms to closing lawyer/attorney. Fax/deliver copies of Offer to Purchase contract to the lender. Provide copies of accepted Offer to Purchase contract for office file. 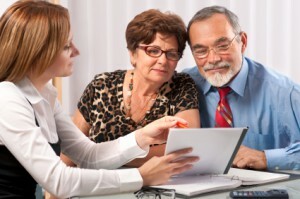 Advice seller in handling additional offers to purchase submitted between contracts and closing. Enter completion into a transaction management tracking software program. Deliver unrecorded property information to the buyer. Research all tax, maintenance fees, utility and other applicable proration. Request final closing figures from closing lawyer or Notary. Request copy of closing documents from lawyers. Provide “Home Owners Warranty” if available at closing. Forward closing documents to an absentee seller as requested. Review documents with the lawyers or Notary. Provide earnest money deposit from the escrow account to the lawyers. Activate our Relocation network system, if applicable. Refer sellers to the experienced local agents at their relocation destination, if applicable. Preparing a list of major deficiencies, to be addressed to the listing agent and the seller for remediation. Follow up on deficiencies repairs. Attempt to clarify and resolve any repair conflicts if the buyer is dissatisfied. Depending on the property type, evaluating potential buyers and sources for it. Using Demographic Marketing Research software finding the contact information (names, phone numbers and emails) of potential matching buyers. Start calling directly potential matching buyers and informing them about the property’s features. Emailing potential qualified buyers information about the property and inviting them to open houses or offering private showings. Mailing information for the property to potential buyers and following up on their interest. Activating our private “Professional Referral Network” with over 5,000 members. All of them professionals very active in the real estate industry. We inform them about our new listing and offer 20% referral fee if they recommend our listing to a potential buyer. Activating our private “General Referral Network” with over 20,000 members. All of them are professionals in different industries. We inform them about our new listing and offer 20% referral fee if they recommend our listing to a potential buyer. Using PowerPoint, Adobe Illustrator and PhotoShop to process the photos and create the matching styles and screen formats for the different devices (Desktop computers, Laptops, Notebooks and Smart Phones) web applications and social Medias. Uploading the videos to YouTube, Vimeo and other popular video websites. Preparing and uploading the property listing to worldproperties.com. Preparing and uploading the property listing to homes.com. Setting up the Social Media marketing management software HootSuite. Enjoy this 267 Step by Step Sellers Listing Marketing Plan. Thank you in advance for emailing this page to friends and colleagues or sharing it on your favorite social media networks using the “share” buttons at the bottom of this page.